Food pairings don’t have to focus on wine. With an influx of small, local micro-breweries making new, inventive beers meant to be paired with meals and older bigger breweries paying more attention than ever to flavor, it’s a great time to match up your favorite brews with some of your favorite dishes. We’ve got a matchmaking guide all wrapped up for you. Medium body, fruity and robust, Ales are a perfect match for bold, spicy flavors. Think burgers, sharp cheddar and pizzas loaded with all your favorites. Our Poco di Pizza is a celebration unto itself, topped with our smoked buffalo-style chicken and colby jack cheese. It’s baked to spicy perfection and served up with a side of crisp celery sticks and rich blue cheese dressing. Pair it with a bold ale to perfectly compliment the zesty tang and cool the fiery heat. Light body and easy to drink, Lagers and Pilsners are right at home with seafood, grilled chicken, pork and light pasta dishes sans the cream and heavy meat sauce. Latin, Asian and Mexican foods are great matchups as well. When it comes to cheese, think light and smooth– muenster, havarti and pepper jack pair nicely. 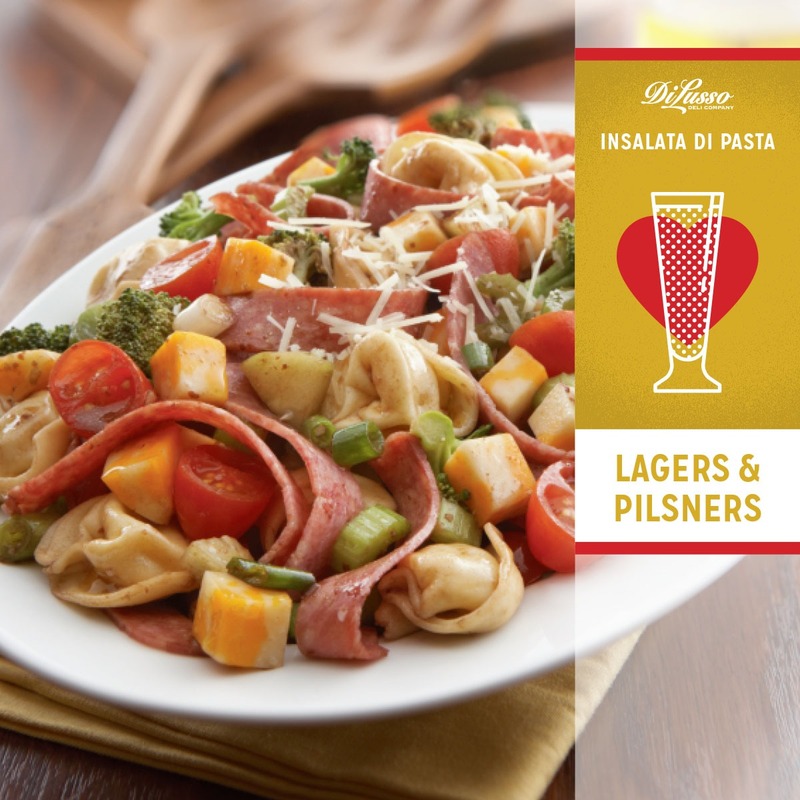 Entertaining is a breeze with an assortment of crowd pleasing craft Lagers and Pilsners and a delicious make-ahead Insalata Di Pasta with tasty pockets of cheese tortellini and fan favorites like honey roasted ham and colby jack cubes. Toss it in a simple from-scratch balsamic Dijon vinaigrette and the flavors will come alive. It’s light enough to blend flawlessly with it’s perfect-match beer and satisfying enough to calm your hungry party guests. Rich, full bodied and ready to take on the boldest of flavors, Porters and Stouts are a perfect compliment to smoked or braised foods like corned beef and barbeque, stews, sausages and bacon too. Though, we’re pretty sure bacon goes with really anything. You won’t find a more Porter-Stout appropriate sandwich than a classic Reuben. 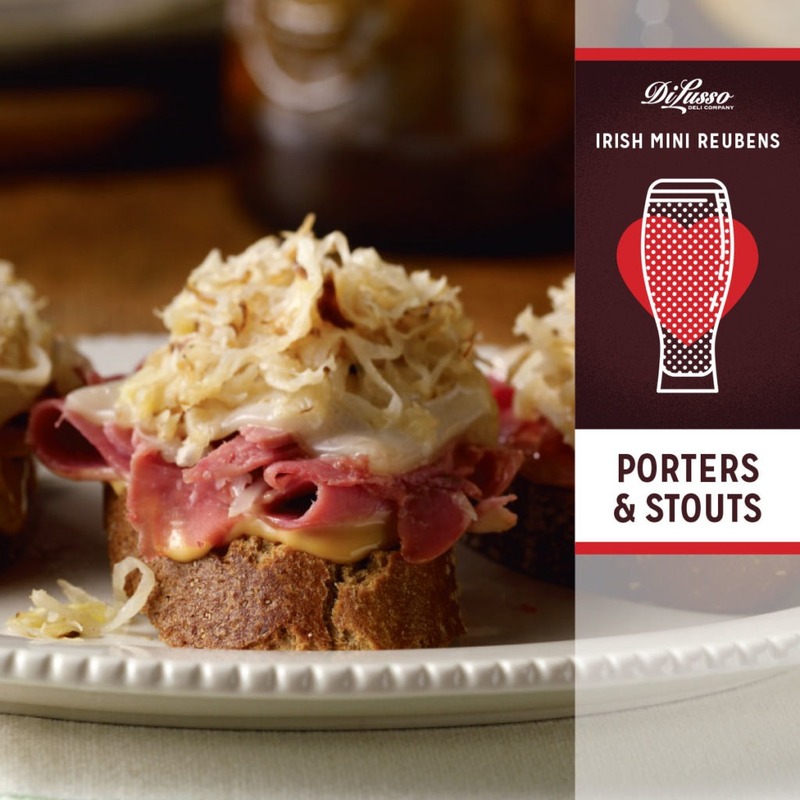 Our Irish Mini Reubens are delicious as a hearty appetizer, and just the right size for entertaining. Mouth watering corned beef is cured in the traditional style with an authentic mix of spices. Try these at a beer tasting get-together with friends! They may come for the beer, but they’ll stay for the food. These light body, German-style brews blend beautifully with delicate soups and salads, vegetarian dishes, sweet and fruity or citrus-flavors, even desserts. Pair with light and flavorful cheeses like Gruyere and Chèvre. 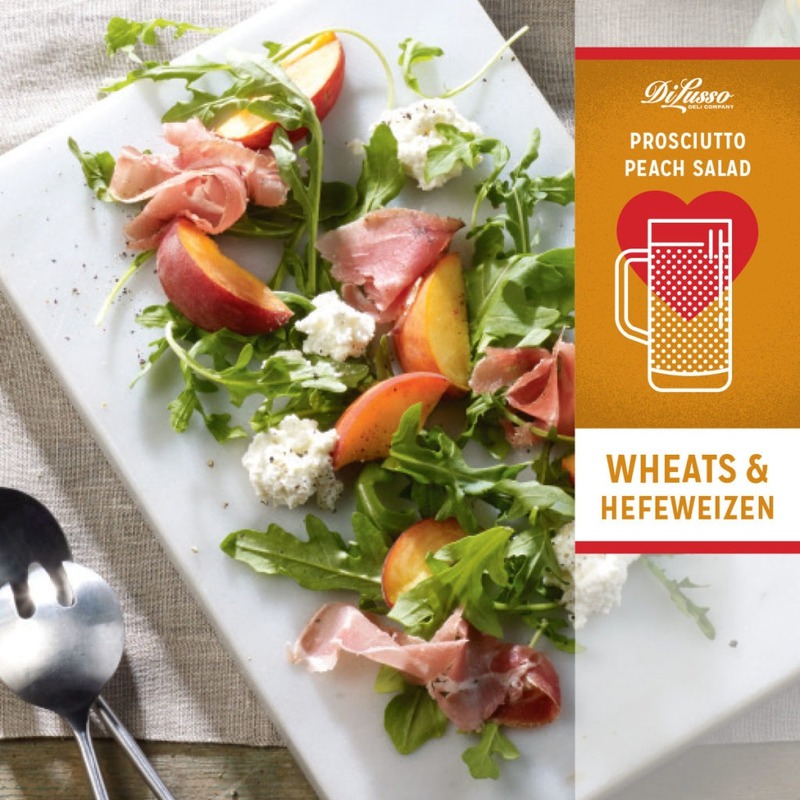 A Hefeweizen beer pairs perfectly with this Prosciutto Peach Salad. It’s a luscious blend of interesting flavors. Sweet and fruity, rich and savory, with only four main ingredients it’s incredibly flavorful and a perfect match for a light crisp beer. 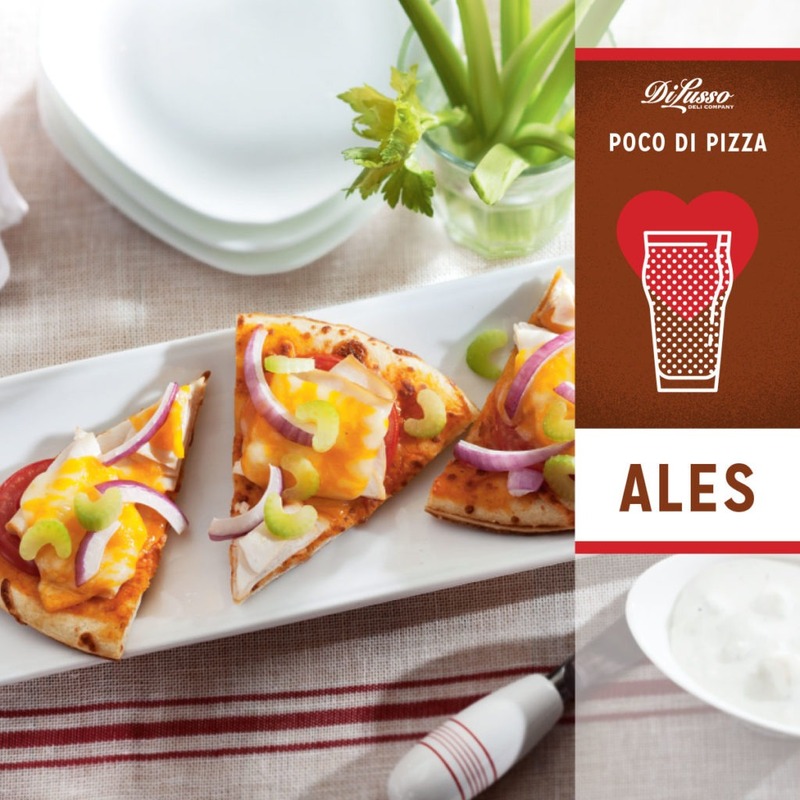 Think about serving this with a flight of delicious wheat beers for your next happy hour at home.